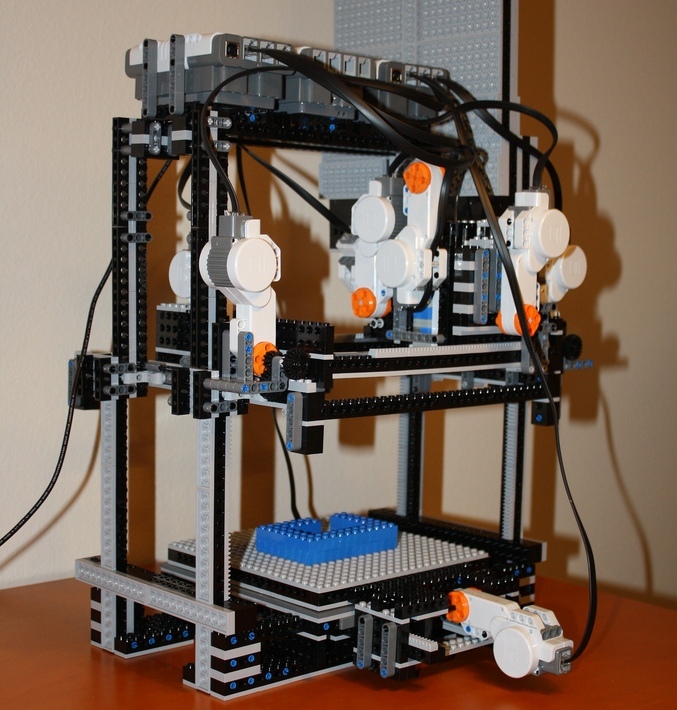 Very interesting and complex Lego printer, which manufactures Lego models piece by piece. The way it operates is similar to a 3D printer, which "prints" out ink layer by layer on top of itself to make a 3D object (the ink is thicker than normal printer ink, but industrial 3D printers are quite detailed). A low cost, economical, and community based 3D printer is the MakerBot, but normal industrial ones are very expensive and used for prototyping by large companies. Notice how it rotates the "head" to grab the next piece.